This page walks current FOTO members (Penn State students) through getting their DonorDrive off the ground! If you're an alumni or friend of FOTO, contact our Donor Relations officer about setting yours up via THON Nation! 1. Create your DonorDrive page! Follow this link to the registration page. 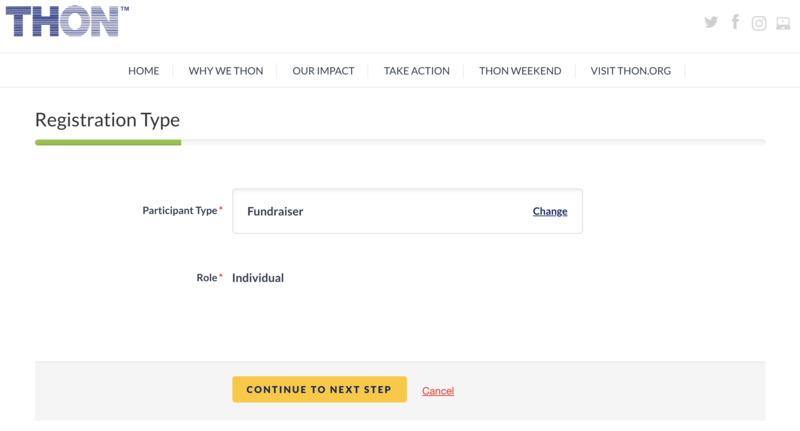 Most of the fields are self-explanatory, just make sure you choose "Fundraiser" on the second step! 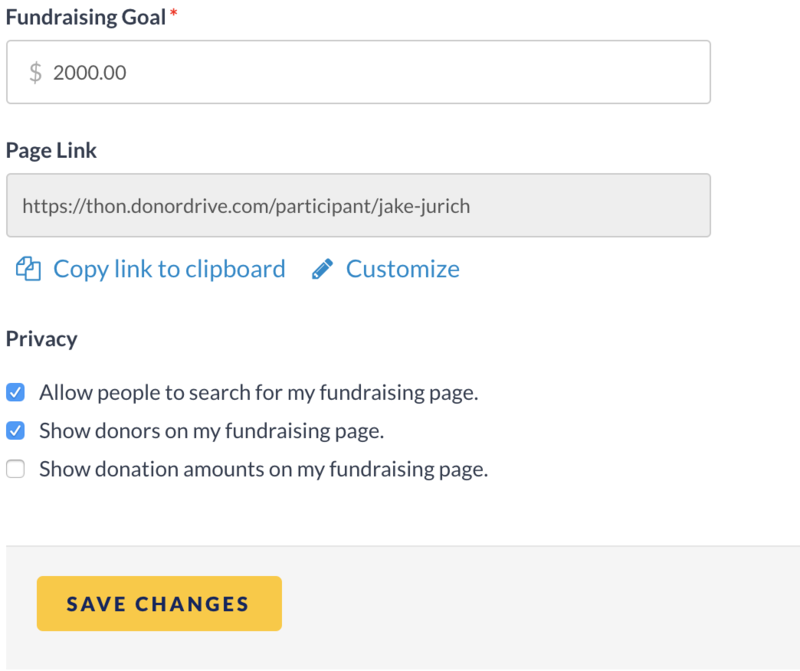 Once you're on your fresh new personal page, click the ✎ icon next to everything to change it–your avatar, your fundraising goal, and especially the main body of text (adding pictures is always the move). With that URL copied, you can share it anywhere–Facebook, Twitter, even through text messages! The most successful posts are those that include personal stories, and pictures of you at FOTO events. If the juices aren't flowing, copy/paste this template and swap the brackets at the end out for your URL! That's it! Share your link as much as you can, especially around specific Push events we'll discuss at meetings and in the GroupMe. Reach out to Jake or Máire with any questions! Refer somebody? Click here!